SMS Audio has introduced the availability of its new Sport Collection of headphones featuring sweat-repelling nano technology in-ear and on-ear headphones designed for active lifestyle use. The new SYNC by 50 Wireless Sport on-ear headphones ($230) and the STREET by 50 Sport wired on-ear headphones ($180) are made using a durable rubberized material finish that SMS Audio is calling its 40U coating, which resists scratches, chipping as well as fingerprints. With an IPX4 rating, the SYNC and STREET Sport headphones are both sweat and water-proof thanks to a special nano-coating technology. Both of these headphones also have large, memory foam-padded Oval-Fit ear cushions covered with perforated leather for maximum comfort and breathability. The headphones within the new Sport Collection are designed to stay put during physical activity, and feature professionally-tuned drivers and sweat-repelling nano technology to safeguard against moisture and withstand against extreme weather. 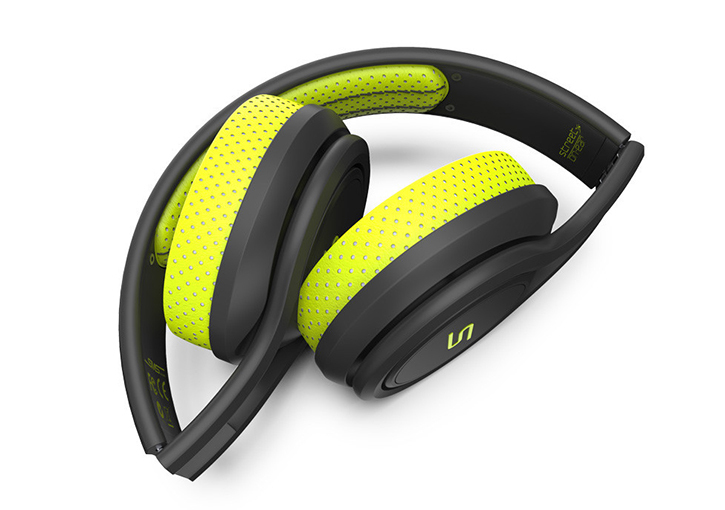 In addition, the SYNC by 50 Wireless Sport headphones have a built-in rechargeable battery promising up to 10 hours of continuous music streaming and feature on-board music and volume controls. Both the wired and wireless models have a foldable design and come with a detachable audio cable with in-line remote and microphone. SMS Audio's new Sport wired and wireless headphones are available now in green, blue and pink, with additional colors arriving this fall. 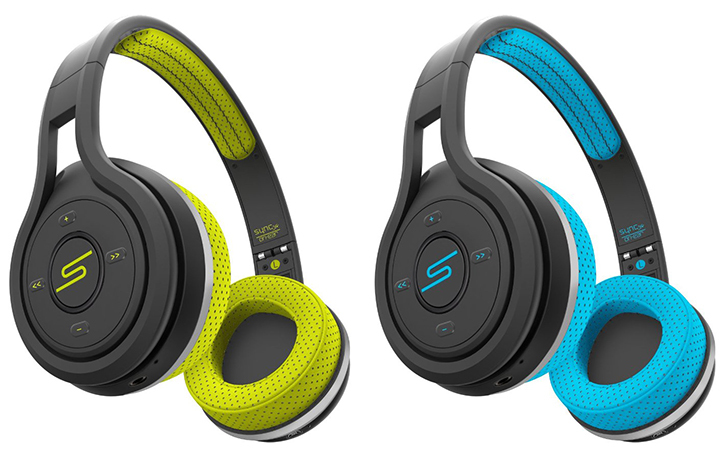 SMS Audio has also introduced two new active-wear offerings with a less expensive price tag. The STREET in-ear Sport headphones ($80) and the SYNC Wireless Bluetooth in-ear Sport headphones ($150) each feature a patented ear-hook design to ensure the best fit and providing users with high-fidelity audio, full bass response, and vocal clarity. Both pairs have a tangle-free cord with an in-line 3-button remote and mic for headset use as well as music playback control, and come with extra hooks and sound-isolation ear tips. SMS Audio has yet to provide details on the battery life. The STREET Sport in-ear headphones are available right now in green, blue and pink for $80, while the SYNC Sport wireless in-ear headphones will be released later this summer for $150.